There was an odd, slightly farcical delay before we could actually sign the papers that transferred ownership from Haymarket to our new company. While the Eye team waited in the managing director’s spacious fifth-floor office, the junior solicitor assigned to deliver the MBO (management buy-out) contracts got lost in the corridors of the publisher’s Hammersmith headquarters. For an agonising twenty minutes we made small talk and enjoyed the view of West London, pretending to be fellow captains of industry. Eventually, the deal was sealed. We didn’t break out the Champagne. If I remember correctly, we had a cup of coffee to steady our nerves and went back to our screens to contemplate our foolhardiness and the harsh realities of the undertaking. Before long we had a new printer, a new repro house, new mailing cartons and a whole heap of new worries. Happily, we also gained new readers, new contributors and new collaborators. 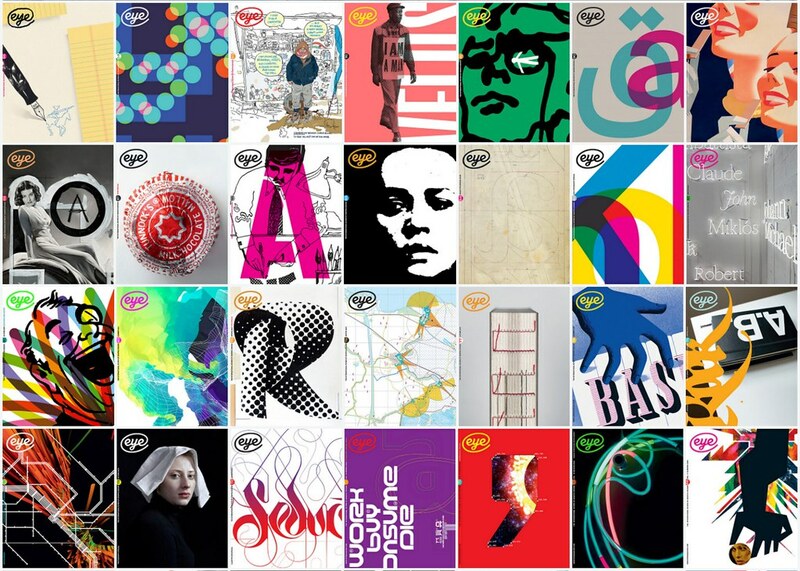 Eye, originally launched by Wordsearch in 1990, had already changed hands three times, moving to Emap, then Quantum and finally Haymarket in 2005. 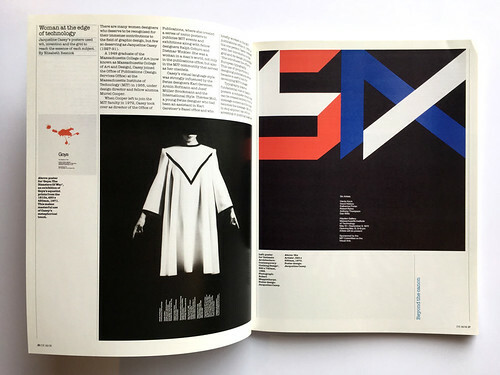 After a wobbly nine-month negotiation period, my Haymarket bosses, who had been thinking of integrating Eye into a ‘MarComms’ super-site called Brand Republic (alongside Campaign), agreed that our magazine might be better off in the hands of its editor and art director: me and Simon Esterson. Hannah Tyson initially joined, and stayed for several years to set up the new company. Since our own Independence Day we’ve seen the launch of the iPad (and the ‘digital magazine revolution’), variable fonts, a financial crash, the rise and fall from grace of social media, the London Olympics, twenty Type Tuesdays at St Bride Library, the Brexit referendum and Trump – a decade ‘From Hope to Nope’ (as the new Design Museum show characterises it). To our amazement, we’re still here, making magazines. Elizabeth Resnick’s profile of Jacqueline Casey in Eye 68, the first issue post-independence. Art director: Simon Esterson. Art editor: Jay Prynne. 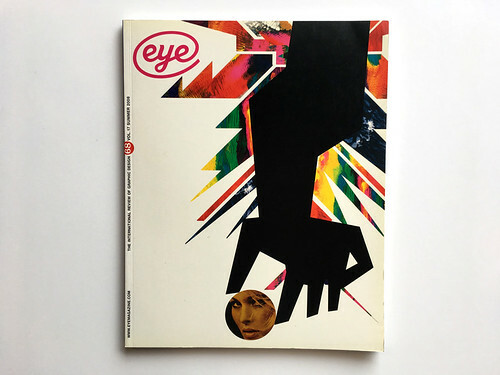 Cover of Eye 68 which features a detail of Jupiter by Antoine+Manuel, 2008, a Saul Bass hand and a tiny picture of Ursula Andress. Art director: Simon Esterson. Art editor: Jay Prynne. 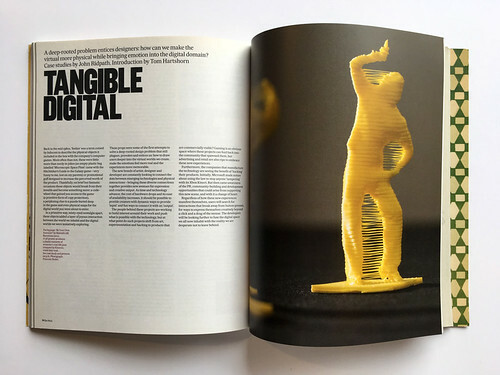 Opening spread for ‘Tangible digital’ in Eye 80, which includes three case studies written by John Ridpath, introduced by Tom Hartshorn. Art director: Simon Esterson. Art editor: Jay Prynne. 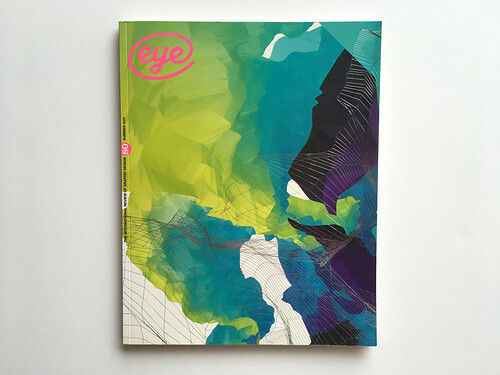 Cover of Eye 80 which features image and wireframe details from a generative illustration by Field for GF Smith’s promotional pack of digital paper samples designed by SEA. Art director: Simon Esterson. Art editor: Jay Prynne. 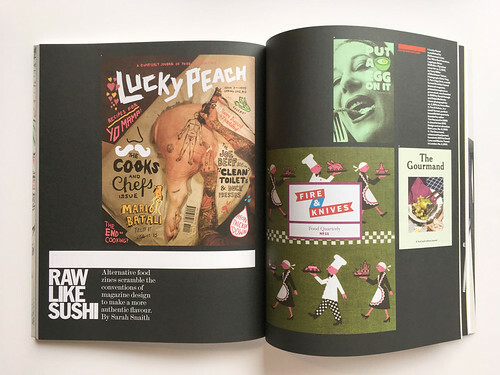 Sarah Snaith’s overview of alternative food zines in Eye 87. Art director: Simon Esterson. Art editor: Jay Prynne. 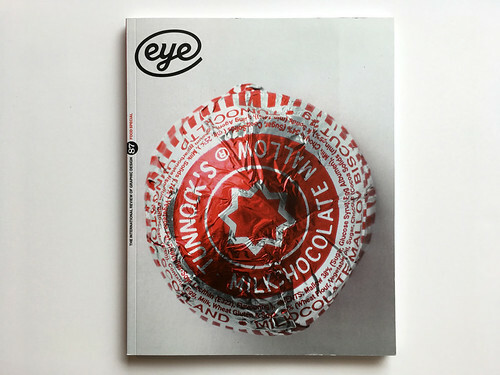 Cover of Eye 87 which features a Tunnock’s Tea Cake. Photograph: Lee Funnell. Art director: Simon Esterson. Art editor: Jay Prynne. 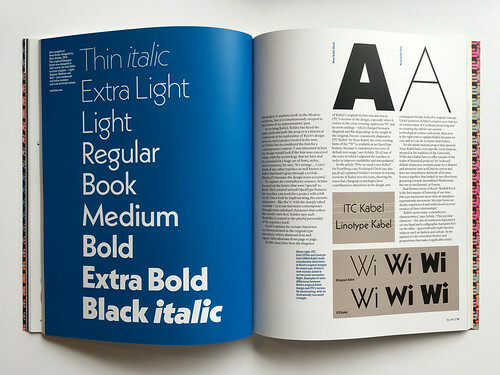 Spread from ‘Expressive geometry’ in Eye 94, showing nine weights of Neue Kabel, designed by Marc Schütz, 2016 (left) and examples of ITC and Linotype Kabel as well as examples of some differences between Koch’s original Kabel design and ITC’s version for photosetting, with its dramatically increased x-height (right). Art director: Simon Esterson. Art editor: Holly Catford. 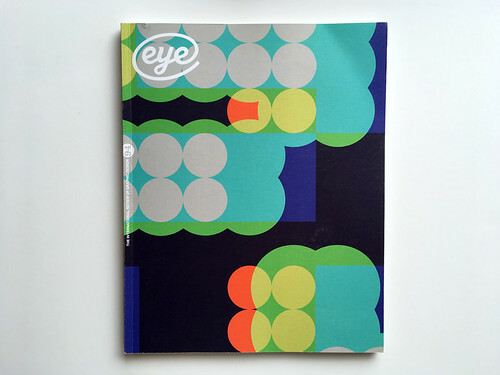 Eye 94, one of 8000 different covers printed digitally on an HP Indigo 10000 press at Pureprint using HP Mosaic – a program that enables variable data printing based on a single ‘seed’ vector file. Design: MuirMcNeil, using the typefaces TwoPoint and TwoPlus. Art director: Simon Esterson.